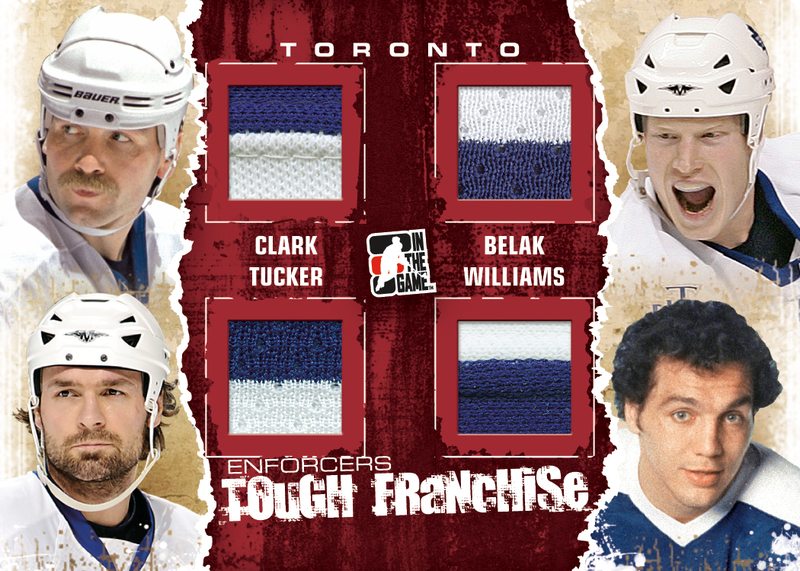 Enforcers card collection: brilliant, bad timing or both? In a vacuum, In the Game’s “Enforcers” series of trading cards is a pretty bright way to shake up a rather stagnant industry. After all, it’s difficult to top the love that NHL tough guys tend to receive. Of course, when you consider the context of a tragic summer of enforcer deaths, a creative idea becomes a divisive matter of taste, as venues such as 680 News and Puck Daddy discussed. To give you the rundown, ITG is releasing the “Enforcers” set in mid-January 2012. Many of the cards feature a “bloodstained” effect, there are game-worn jerseys from fights (aping an industry standard that goes back many years) and historic fights are trumpeted with images and sometimes memorabilia from both enforcers. Take a look at some of the most provocative cards, via ITG’s blog. ITG’s owner Brian Price responded to some of the criticisms, including a 680 News caller who believes it is “completely appropriate” and that the cards promote violence. What do you think about the enforcer cards? Do you think it’s a brilliant campaign, an example of bad timing and taste or maybe some combination of both? Let us know in the comments.